Budapest, Banska Stiavnica, Bratislava, Vienna, Cesky Krumlov, Prague, and more! 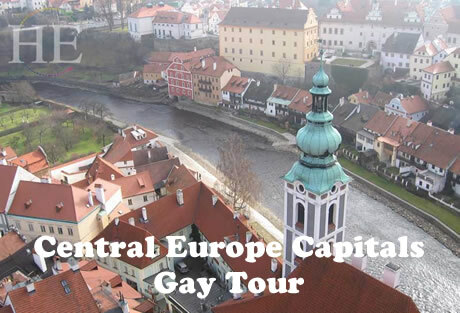 A Gay Travel Cultural Tour visiting Budapest, Vienna, Prague, and more! During the height of the Holy Roman Empire, Central Europe nurtured architectural and musical influences that continue to this day. Enjoy our gay cultural tours with walking, concerts, a dinner cruise, rejuvenating baths, and ample time to explore. 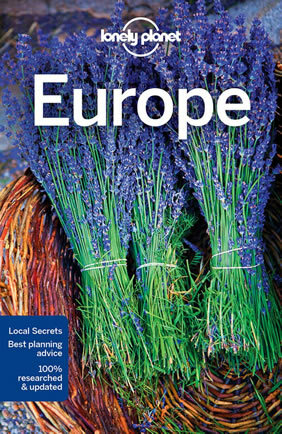 Explore Four Capitals of Central Europe! The Danube has flowed like an artery through Central Europe through the millennia, serving as a bridge between several unique cultures. On this tour, we start in the Hungarian capital of Budapest (or more specifically Buda and Pest across the river). We then drive into Slovakia's mountains to spend a night at an intimate pension in the UNESCO World Heritage town of Banska Stiavnica, that sits in the middle of an immense caldera formed when an ancient volcano collapsed. Our next destination is the capital of the nation of Slovakia, which became a capital overnight in 1993 during the separation from the Czech Republic. The separation process was so orderly that it was dubbed the "Velvet Divorce". From Bratislava we make the short drive to Vienna, where we spend three nights. We'll have a walking tour of some of the Schonbrunn Castle as well as some cultural landmarks, culminating in an evening classical music performance (subject to availability). Departing from Vienna we drive northwest to the small Czech city of Cesky Krumlov, and we will stay in the historic heart of the city, also a World Heritage Site. We'll visit the town's restored castle, then see the town's monuments and homes from our ride on the river. Our tour will conclude in the Czech capital of Prague, where we will stay close to its historic center. During our walking tour we'll visit Wenceslas Square, Charles Bridge and other highlights of this ancient capital. • Explore the history and mystery of four of Central Europe's capitals, Budapest, Bratislava, Vienna and Prague. • Meander away from the urban areas through the Slovakian mountains and Czech valleys. 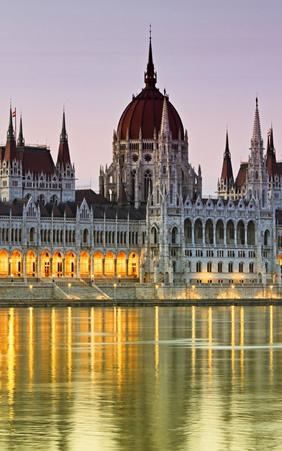 • Learn the difference between Buda and Pest, sample Hungarian cuisine that goes way beyond goulash, and perhaps check out one of the historic bathing facilities. • Follow back roads through the mountains of Slovakia to the historic town of Banska Stiavnica. • Spend an evening strolling along the Danube waterfront in the newest of our capitals, Bratislava. 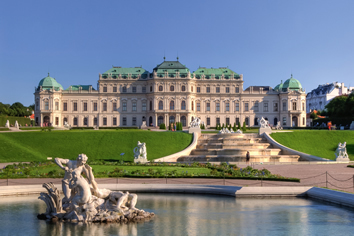 • See why Vienna was the cultural and political center of this entire region, through visits to Schonbrunn Castle and an evening classical music concert. • Pause for a gentle raft ride down the river through the well-preserved Czech town of Cesky Krumlov. • Enjoy a walking tour of the historic heart of Prague, then board a dinner-cruise on the Vltava River. 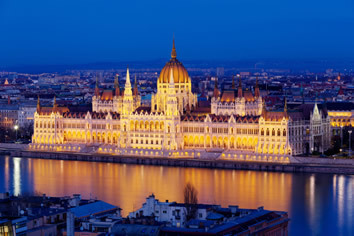 Most North American travelers will need to depart home a day before the first tour day, flying overnight and connecting to Budapest. We will provide a transfer from Budapest Airport to our hotel for those arriving on the first day, or arranging extra hotel nights through us. We'll have our welcome dinner near our hotel in the heart of Budapest on our arrival day. The next day, during the our City Tour of Pest, we get acquainted with the Pearl of the Danube. We drive along the main avenues, passing by Parliament and the Opera House, and we stop at Heroes' Square. We will also visit the Market Hall, where we'll have some free time to look at the hundreds of local products sold there. Our afternoon and evening will be free to explore the city on our own. We cross over to hilly Buda for our next half-day tour that will include the Castle Hill area, and visits to Matthias Church and Fisherman's Bastion. We'll also go up Gellert Hill for a panoramic view of the city and the majestic river that divides Buda and Pest. Later in the afternoon, you may want to visit one of the spas for a rejuvenating treatment. One of the oldest spas dates back to Turkish occupation in 1566. We'll drive north out of Hungary and into the mountains of Slovakia. Our lunch will be in the hamlet of Svaty Antol where we will have a traditional Slovak lunch, accompanied by a local folklore performance. Later we will have a 2-hour walking tour of the town, including a special presentation about the local sport of falconry. This morning we will drive through the mountains to Bratislava, nestled on the bank of the Danube. We’ll have a walking tour of the old city so we can stretch our legs, grab some lunch and continue our journey to Vienna. Upon arrival; we will enjoy a 2-hour walking tour of the area. 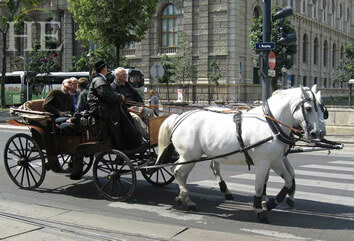 Some of our included stops will be Hofburg, Kohlmarky, Graben, St. Stephens, a coffee/tea break, and more. This morning we will visit the 22 rooms of the Schonbrunn Castle with an English audio guide and also enjoy a visit to the adjoining Schonbrunn Park. Today we will head to The Eagle’s Nest and tour Kehlsteinhaus; a Third Reich-era building erected atop the summit of the Kehlstein. Enjoy tea where dignitaries once sat, take in the amazing views and soak in the history. We will have the opportunity to tour the bunkers; which are not seen by many during their visit. Today is a chance to explore Vienna on your own so you can explore what is personally most interesting about this cultural capital of Europe. Our guides will have plenty of suggestions for you, and help you plan how to get around on the extensive public transportation system. This morning we drive northwest from Vienna to the small Czech town of Cesky Krumlov. We will have lunch together in this charming historic town, and weather permitting, spend the afternoon on a leisurely self-paddle raft on the river. We will check into our hotel in the late afternoon, and the rest of the day will be free to wander around Cesky Krumlov. The next morning we'll tour the castle and other sites, then have a little free time to grab lunch and see more of the town before we drive north to Prague. As we head toward Prague from Cesky Krumlov, we'll stop at Ceské Budejovice – home of Budvar, one of Czech's more prominent beers. We'll have a beer tasting and lunch there. Once we get to our hotel in Prague, the rest of the afternoon and evening are on your own to check out the fine restaurants and perhaps some of the nightlife of Prague. The next day we'll have a half-day walking tour, including the Astronomical Clock, Wenceslas Square, Royal Way of the Old Town, and Charles Bridge. Our farewell dinner will on held on a cruise on the Vltava River. Our second half-day of touring will include the Mala Strana area, Hradcany Castle (from the outside), and St Vitus Cathedral. We will provide one or two group transfers from our hotel to the Prague Airport today, as we bid our farewells to this historic region of Europe. May we meet again soon! • All hotel service charges, government taxes, porterage (where available), and gratuities for included meals. • Personal items including: alcoholic beverages, snacks, laundry, and telephone calls. This tour starts in Budapest, Hungary and ends in Prague, Czech Republic. This is a leisurely-paced trip. Our guides will lead us on walking tours, sometimes on uneven cobblestones. Transportation between destinations is by private vehicle for our group. Most but not all hotels have elevators.